A transportation management system (TMS) helps companies move freight from origin to destination efficiently, reliably, and cost effectively. TMS encompasses solutions for moving freight in all modes and also includes intermodal movements. This report, based on a user survey, is designed to report on the ROI associated with implementing a TMS. 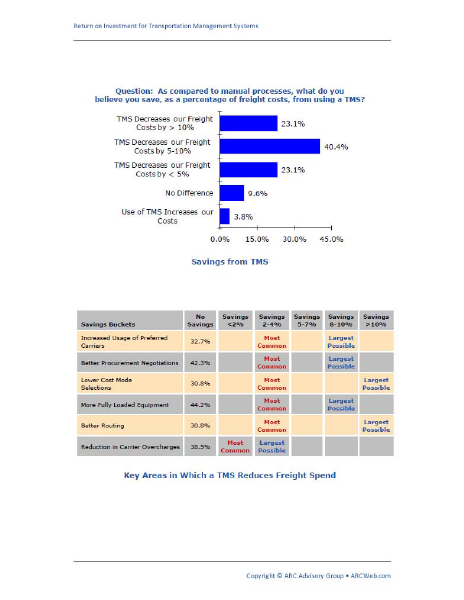 There is particular focus on the degree to which a TMS can reduce freight spend.